“A bit of a wobble”…what a perfect description. Finding that amazing house was no accident, that’s for sure! Yes, exactly what I thought. I just hope it works! Knocking on the door seems a very interesting proposition with possibilities of a great follow-up post – who lives in a house like this……. I also see lots of signs, most recently in Marbella in a tiny chapel where my partner went in to light a candle. I mooched around in the background and found an exquisite mini-sculpture of Santiago, complete with staff and gourd, standing in a scallop shell. Your signs are a bit more ‘in your face’ than my more subtle ones – but they all speak to us very powerfully. I toyed with the idea of knocking on the door but it seemed very run down and I doubt if anyone lives there at the moment. But I’ll go and have another look. And keep you posted! I would say this is a very positive sign from what you have written. Not only is this message to you but a really lovely house design. 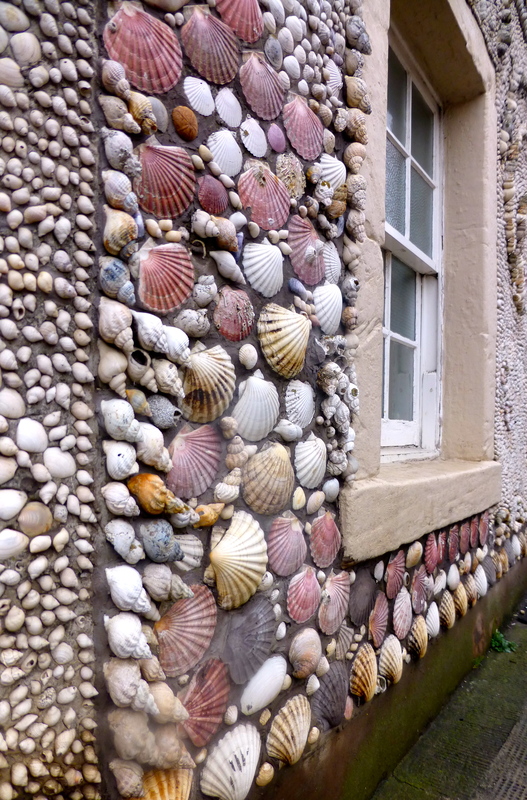 I just love seashells. 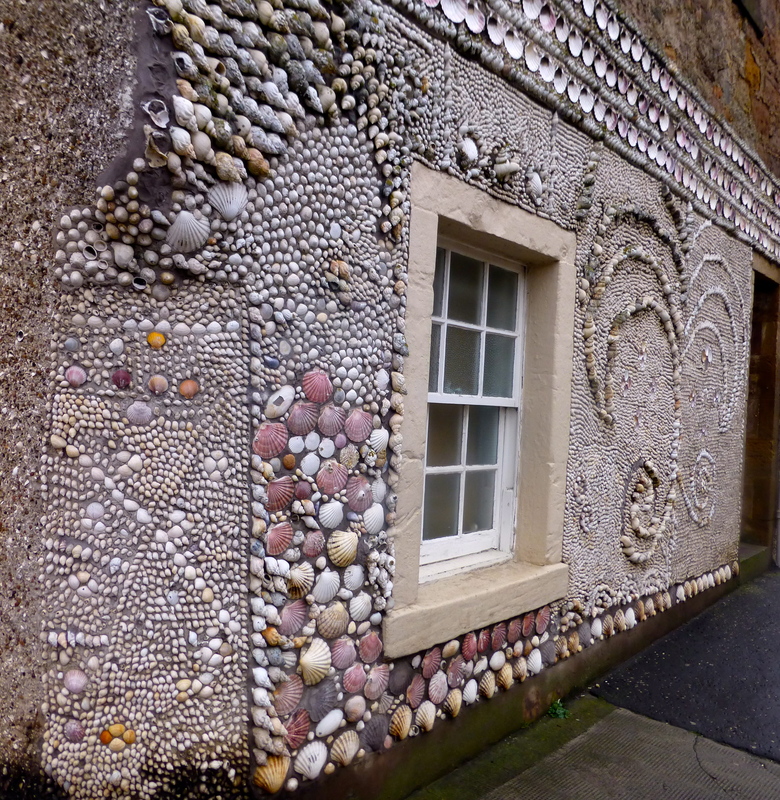 Think of all the shells I could collect if this was my goal! Collect them anyway. It’s kinda compulsive isn’t it. And You Never Know. A house that is a work of art. How cool. Is the scallop your totem? It’s beginning to look that way. 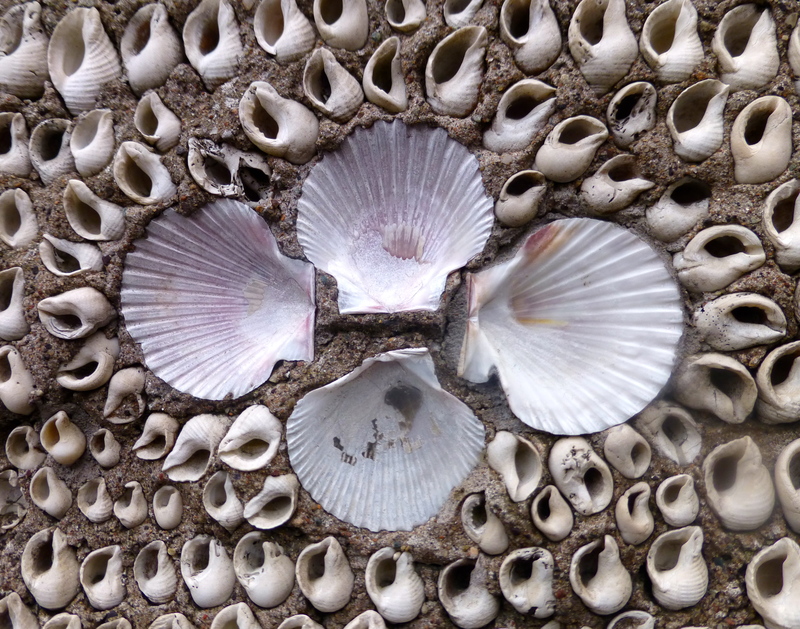 Either I am following the scallop shells or they’re following me … which would definitely be spookier! It’s strange how they seem to turn up just when I need them most – but least expect them Nadine. I’m enjoying your post-Camino posts too. It took me aback for sure. I’ve never seen anywhere like it in Scotland. Signs are significant. Consider heeding, as you successfully have. Great photos! It really did feel like a sign Eric. Maybe I should go and knock on the door! What a great idea they had!